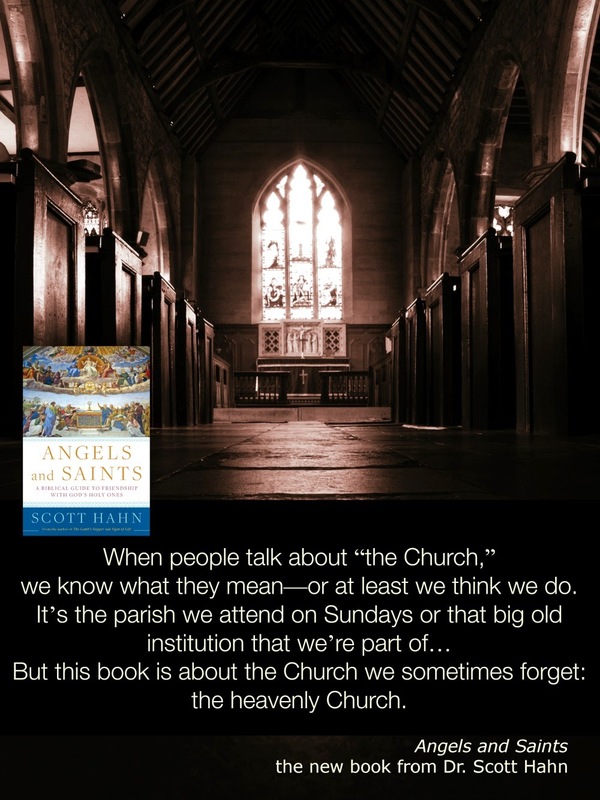 If you are visiting for the first time, from the Angels and Saints Book Tour, welcome! But I feel it prudent to warn you, that you may be expecting too much. As the culmination of this blog book tour finds itself in the final chapter of Scott Hahn's newest publication, which he prefaces "Every paragraph and every page of this book has been drawing us to this chapter," I fear I am doomed to disappoint. Mary. Ever sinless. Ever spotless. Our Lady. Queen of All Saints. Mother of the Church. Who am I to write about this most clement, most loving, most sweet Virgin Mary? I am just "the infertile" of the Catholic blog lineup. 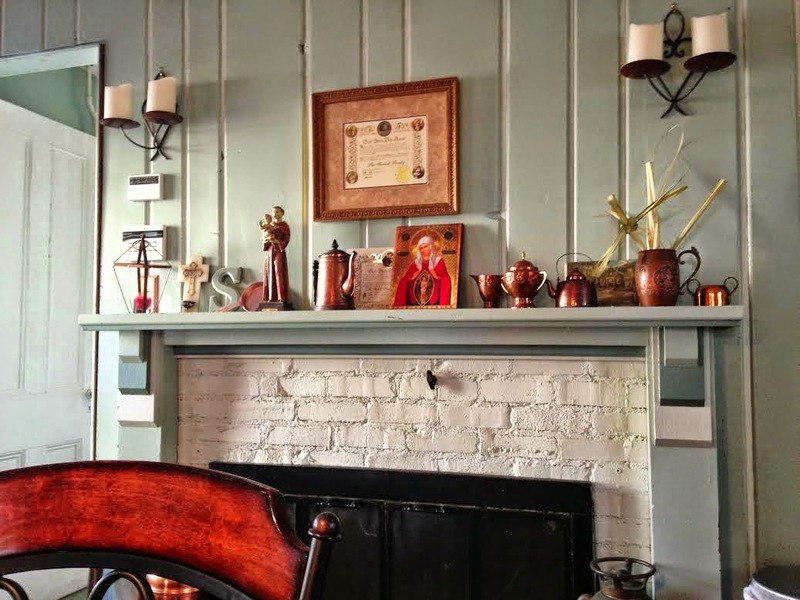 Finding a connection to this most holy of Saints seemed not only daunting, but frankly, impossible from the moment I was first assigned this chapter. 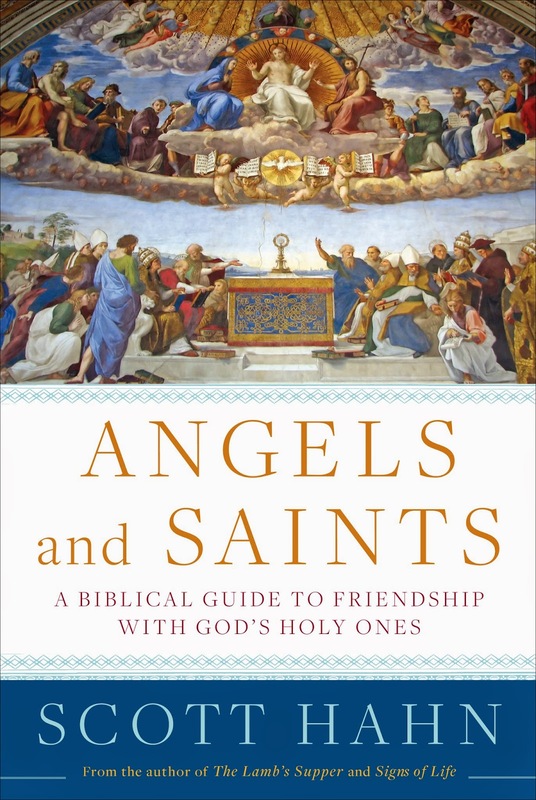 As I read the book from the beginning, I found myself connecting with each of the the other Angels and Saints: Michael, the Archangel, Holy Moses, St Paul, St Ignatius of Antioch, St Iraneus of Lyons, St Jerome, St Monica and Augustine, St Thomas Aquinas, St Therese, St Maximilian Kolbe, and St Josemaria Escriva. With each chapter, I learned something new, something inspiring, from each of these holy men and women (and angels), and was able to identify with a small part, or a large piece of their story. I yearned to emulate them as I read through each chapter, cherishing St Maximilian Kolbe's zeal in accepting both crowns of sacrifice for Mary and the Church, discovering the powerful and hidden prayer life of Moses, relishing in St Augustine's thirst for knowledge and understanding - they all showed me something about myself that I needed to nurture in order to continue on my own spiritual path. But I turned to that final chapter in trepidation. I think I believed I would be immersed in a language of Our Lady with which I was already familiar, a poetry of her virtues upon which I've come to reflect every year through Total Consecration, a meditation of her holiness that seemed, no matter how much I prayed, so unattainable. "Think, for a moment, about the fact that you have been 'saved.' And what is your salvation? ... Jesus has given his life to be your own... He has given you his home, heaven... He has invited you to eat from his table. He has given you his Father to be your Father. And he has given his mother to be your mother! To be saved is to be given sainthood as a grace. 'You were washed, you were sanctified, you were justified in the name of the Lord Jesus Christ and in the Spirit of our God' (1 Corinthians 6:11). To live most authentically- to be most truly yourself- is to correspond to that grace at every moment of every day. I discovered, with the masterful eloquence of Scott Hahn's rhetoric, and his skillful theological stepping stones, that there was a much more purposeful reason to save this chapter as his last than simply to end with a bang. He had been preparing me to receive it, since page one. He had been building my spiritual strength, igniting the gifts of the Holy Spirit that were sleeping in me, and readying my mind and soul to begin to see and honor My Mother in a new light - a light that both shone from above, and from within. Suddenly, this childless infertile began to feel closer to Mary than ever before. For years, now, I have tried to keep Our Lady always at the forefront of my thoughts, my prayers, my actions, and my words. I have tried to set her as the role model woman, wife, spiritual mother that I aspire to be. I have tried. And I have failed. Repeatedly. And so, I felt, all efforts were futile. Scott Hahn has reminded me that God has called me to be a Saint. And that like so many brothers and sisters in Christ before me, I will fall. But, I will rise again. And Mary, my Mother, will be within me every step of the way. I know her presence was needed more than ever at this time of my spiritual journey. Our Lady, Queen of All Saints, Mother of the Church, pray for us! The feast of the Assumption. August 15th. Our Lady of the Assumption, pray for us!!! Feast of the Assumption on Aug 15. Hmmm...so hard to pick just one, they're each one so special & unique. But OK, if I have to choose only one, it would have to be the Feast of the Immaculate Conception, because I also associate it with one of my favorite saints, Bernadette of Lourdes, to whom Our Lady answered to the question of her identity, replied, "I am the Immaculate Conception." Even Our Lady uses the humble and the little to answer those who supposedly are the most learned & the most "wise." Bernadette was pressured by the powerful members of the clergy to ask the name of the lady she saw in the grotto at Massabielle. They were all confounded by the answer she brought them, as Bernadette herself was so little catechized that she herself had no idea the name she was relaying was the very same title Holy Mother Church had officially conferred upon Our Lady just four years prior to Bernadette's visions. Yet even so, little Bernadette was disbelieved by the clergy who received Our Lady's message. Despite this, Bernadette never wavered from what the beautiful Lady told her. Every time I think about her serene courage in the face of such powerful opposition, I am so moved by the saint's unwavering determination to do exactly what Our Lady asked her to do. How she suffered to bring that message to the world & how her suffering gave the world one of its most holy places of prayer, worship, & healing - still in Lourdes - is amazing. I try to make an annual Consecration to Our Lady. The feast of the Assumption, August 15th. Thanks for the giveaway! Continuing to pray for you and your intentions! Mine is December 8, Immaculate Conception. Sorry as this is unrelated. I just started a blog but am cluesless as to how this works. I am trying to send you a private message but can't figure it out. Can you let me know how I connect with other bloggers like you. I added some of them but how do I get "in" with the Catholic struggling w/fertility crowd? THanks agnd OGd bless! Basically there's no PM option with blogs, some bloggers do list their email, but the main thing is just commenting on others' blogs and letting us know you're out there! You may also choose to "follow" or "join" blogs so that the new posts come up on your newsfeed when you log in. You are amazing! And insightful! Mary Queen of Saints pray for us and for A!! May Mary and all the Saints pray for us and that the world leaders will keep us safe. The times are very different and we need prayer more than ever.